In this research, I apply and extend Handel’s (2005) model for understanding job characteristics and job satisfaction in the context of a changing global environment. Prior research has indicated that the nature of work has changed dramatically in recent years in response to economic shifts and an increasingly global economy. However, there is little agreement on whether the overall quality of work has improved or declined over that period. Furthermore, less is known about changes in job satisfaction and its various indicators over time, based on how the workers feel. Finally, even less is known about the overall comparative quality of work and job satisfaction across the global economy. In this study I use non-panel longitudinal data from the International Social Survey Program (Work Orientations I, II, and III: 1989, 1997, 2005) to first conduct a descriptive comparative analysis of job quality and job satisfaction. 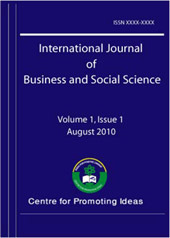 I then use Handel’s (2005) intrinsic/extrinsic job satisfaction model to perform OLS regression of job satisfaction and its determinants for each separate country within each of the three ways of data to see cross-national differences in overall model predictability and in the various intrinsic and extrinsic job characteristics that impact job satisfaction in relation to a changing global economy.